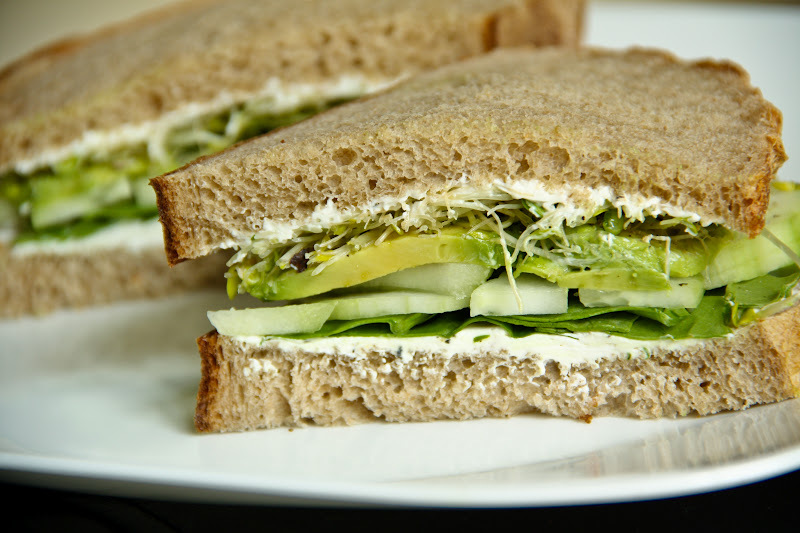 Here is a simple recipe for an afternoon tea sandwich or regular sandwich for lunch. A long time ago I remember having a tasty sandwich with cream cheese as the spread. So when I saw this recipe, I decided to make it for myself for lunch, especially since I had some leftover whipped cream cheese in my fridge. The original recipe calls for white bread. But I’ve made this sandwich twice now – the first time I used my favorite 7-grain bread and the second time I bought some peasant bread from a local bakery. It tasted great on both, and next time, I may try toasting the bread before assembling it. This tea sandwich is a great alternative and nice change to the traditional sandwich I usually make myself for lunch, which contains cheddar cheese, avocado, bell peppers, tomatoes, cucumbers, spinach, balsamic vinegar, and salt/pepper. For the recipe, head on over to Tea Time Magazine website – Cucumber-Avocado Tea Sandwich. To make this sandwich vegan, I used Treeline Vegan Nut-Based Cheese, Chive-Herb flavor. I prepared these for a bridal shower and they were a hit! They're so fresh and light - everyone complimented them. I had a few guests with a gluten intolerance so I made a batch with gluten free bread in addition to the regular tea sandwiches - I just made sure to make the gluten free sandwiches first so that I didn't cross contaminate. These are so easy to make, they held up well, and such a great finger food dish to serve at a party! What type of gluten-free bread did you use?